Elegant, custom architectural details highlight this three Bedroom + Office + Family Room, three full Bath home in highly sought after Manhattan Beach tree section neighborhood. Beveled glass entry door with vaulted entry ceiling, light, bright open design Kitchen, Dining, Living areas. Kitchen features breakfast bar, granite counters, quality cabinetry with soft close drawers, pull-out shelves, appliance garage. A beautiful Fireplace with custom mantle and surround highlights the Living Room area. There are two Bedrooms, an Office (converted 4th bedroom), full Bathroom on the entry level. Access to a party size tiled deck is from the Office and a Bedroom. A grand Master Suite is located on the upper level and features vaulted ceiling, Fireplace, Juliet Balcony, large two sink vanity with generous cabinetry and closet space, walk in shower and large tub. The lower level has a wonderful Family Room, adjacent full Bathroom, Laundry Room, and access through French Doors to a lovely private patio and grassy back yard. A gated driveway leads to a two car Garage with a large second level Storage/Bonus Room with window, not included in square footage- check with City for possible uses. Other features include hardwood flooring, Kolbe and Kolbe wood windows, recessed lighting, beautiful built-in cabinetry, large walk-in entry closet, A/C, tankless water heater, and French Doors galore. Stroll to downtown or walk the dog on the popular "chip trail", just 1 1/2 blocks away. Lot Size: 0.11 Acres / 4637 Sq. Ft.
SchoolsClick map icons below to view information for schools near 3108 N Poinsettia Avenue Manhattan Beach, CA 90266. Listing provided courtesy of Linda Dondero, Nwre Brokers. Home for sale at 3108 N Poinsettia Avenue Manhattan Beach, CA 90266. 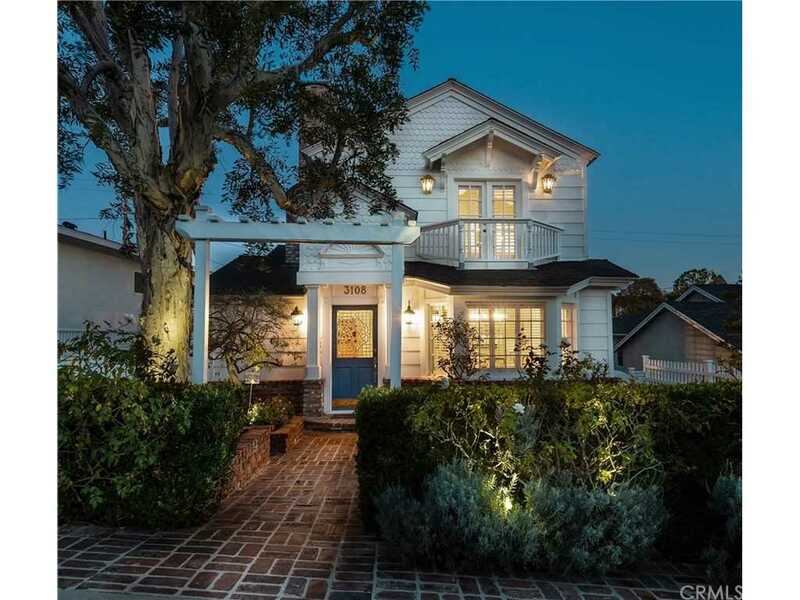 Description: The property at 3108 N Poinsettia Avenue Manhattan Beach, CA 90266 in the subdivision with the MLS# SB19026321 is currently listed for $2,225,000 and has been on the market for 73 days. You are viewing the CRMLS listing details of the home for sale at 3108 N Poinsettia Avenue Manhattan Beach, CA 90266, which features 3 bedrooms and 3 bathrooms, and 2218 sq.ft. of living area.